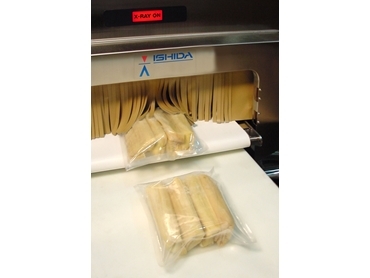 Now available from Heat and Control , the new Ishida waterproof x-ray system can be used for meat, poultry, seafood, and other food processors requiring wash down construction. With its unique IP-69K waterproof construction, this new model x-ray system is able to completely keep even high pressure water from entering the x-ray machine, while keeping inspection sensitivity as high as the IX-GA models. The new Ishida X-GA-DK waterproof x-ray system model contributes to hygiene management and food safety at manufacturing sites.